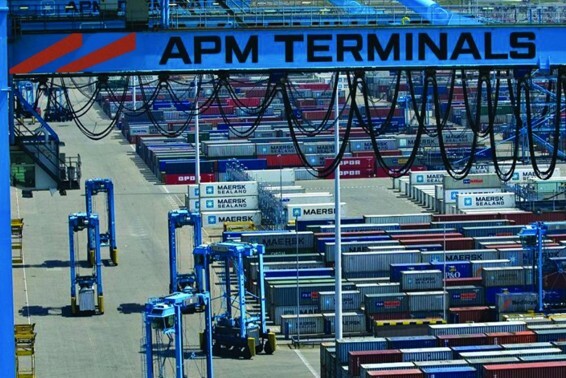 Costa Rican president Luis Guillermo Solís and representatives from APM Terminals gathered in Moín on Sunday to celebrate the start of construction work of the US$1bn Moín container terminal project. The groundbreaking ceremony, which comes after years of delays caused by labour and environmental disputes, marks the beginning of Costa Rica’s largest infrastructure project which will create hundreds of jobs in one of the most depressed regions of the country. The new terminal will eventually quadruple the port’s capacity to an estimated 2.5m TEUs, creating the biggest container port in Latin America, foreign minister Alexander Mora told the Tico Times. The first phase of the project, due to take three years, will see the construction of an artificial island to the west of the port. Once complete, the container terminal will cover an area of around 100ha. As the world’s leading exporter of pineapples and second biggest banana exporter, Costa Rica’s port infrastructure is amongst the worst in the region. 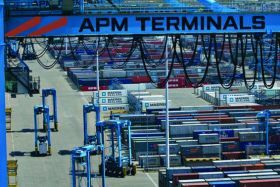 APM Terminals has been granted a 33-year concession to design, build and operate the new terminal, after which it will be handed over the to government and national port authority. Further development plans for the port include a US$900m terminal project by Canada’s America’s Gateway Development Corp (Amega) which will be dedicated exclusively to transhipment from the Panama Canal.